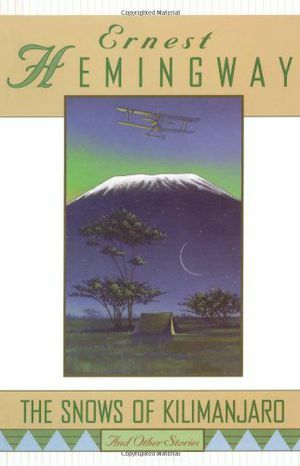 The Snows of Kilimanjaro and Other Stories contains ten of Hemingway's most acclaimed and popular works of short fiction. Selected from Winner Take Nothing, Men Without Women, and The Fifth Column and the First Forty-Nine Stories, this collection includes "The Killers," the first of Hemingway's mature stories to be accepted by an American periodical; the autobiographical "Fathers and Sons," which alludes, for the first time in Hemingway's career, to his father's suicide; "The Short Happy Life of Francis Macomber," a "brilliant fusion of personal observation, heresay, and invention," wrote Hemingway's biographer, Carlos Baker; and the title story itself, of which Hemingway said: "I put all the true stuff in," with enough material, he boasted, to fill four novels. Beautiful in their simplicity, startling in their originality, and unsurpassed in their craftsmanship, the stories in this volume highlight one of America's master storytellers at the top of his form. 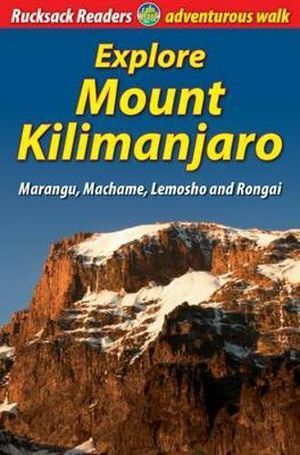 TMB has been publishing a map of Mount Kilimanjaro for fifteen years! 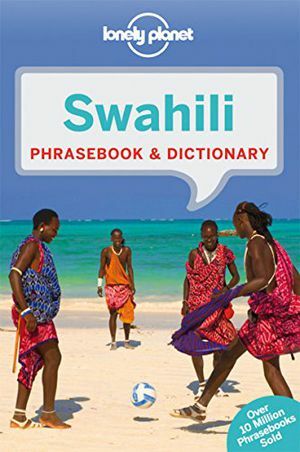 This 4th edition includes an exceptional value-added map of Northern Tanzania and Southern Kenya that should prove to be very useful to end users, who can now use one map from landing in Nairobi or Dar to reach the mountain park, travel the Serengeti all the way to Lake Victoria, and loop back to Dar es Salaam via the new highway through Dodomo. Inset maps of Arusha, Dar, and Stone City in Zanzibar are included. This new map is issued without increasing the price! 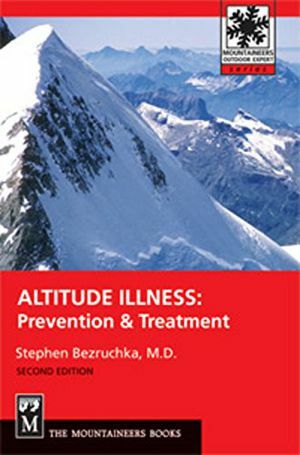 How the body responds to high altitude - the classic study revised for the latest scientific findings. At 5895 metres (nearly 4 miles) above sea level, the summit of Mount Kilimanjaro is the highest point on earth that a walker can reach. Success is not guaranteed, because each person's response to rapid altitude gain is different. But you can improve your chances by a wise choice of route and itinerary, by thorough preparation and by taking care of yourself on the mountain. 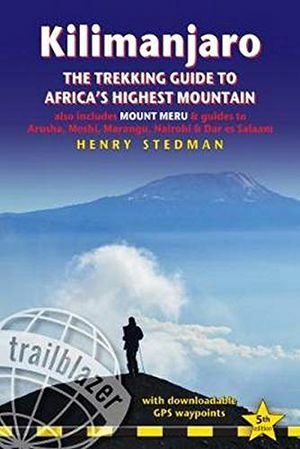 The author provides information and advice about how to choose your route; how to prepare and what to pack; how to prevent and manage altitude sickness; first-hand detailed descriptions of Marangu, Machame, Lemosho and Rongai routes; background on Tanzania, its wildlife and economy; a special feature on climbing Mount Meru to pre-acclimatise; and a map flap showing all ascent routes. The book has over 60 colour photographs, opens flat and is printed on rainproof paper. 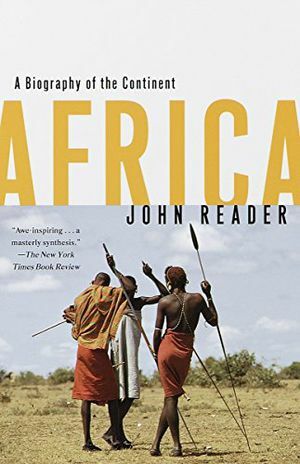 After a lifetime's close observation of the continent, one of the world's finest Africa correspondents has penned a landmark book on life and death in modern Africa. It takes a guide as observant, experienced, and patient as Richard Dowden to reveal its truths. 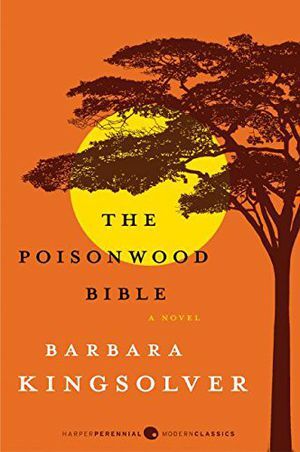 Dowden combines a novelist's gift for atmosphere with the scholar's grasp of historical change as he spins tales of cults and commerce in Senegal and traditional spirituality in Sierra Leone; analyzes the impact of oil and the internet on Nigeria and aid on Sudan; and examines what has gone so badly wrong in Zimbabwe, Rwanda, Burundi, and the Congo. 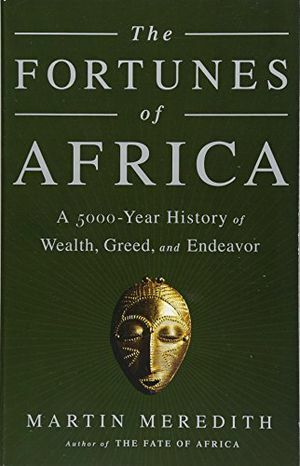 Dowden's master work is an attempt to explain why Africa is the way it is, and enables its readers to see and understand this miraculous continent as a place of inspiration and tremendous humanity. 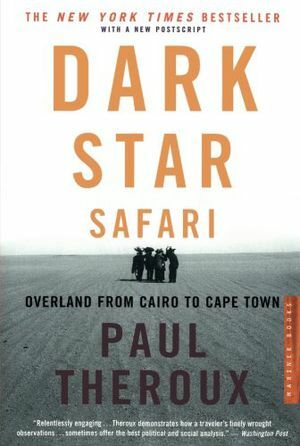 In Dark Star Safari the wittily observant and endearingly irascible Paul Theroux takes readers the length of Africa by rattletrap bus, dugout canoe, cattle truck, armed convoy, ferry, and train. In the course of his epic and enlightening journey, he endures danger, delay, and dismaying circumstances.Gauging the state of affairs, he talks to Africans, aid workers, missionaries, and tourists. 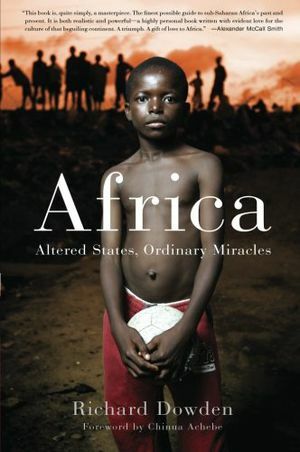 What results is an insightful meditation on the history, politics, and beauty of Africa and its people, and "a vivid portrayal of the secret sweetness, the hidden vitality, and the long-patient hope that lies just beneath the surface" (Rocky Mountain News). In a new postscript, Theroux recounts the dramatic events of a return to Africa to visit Zimbabwe. 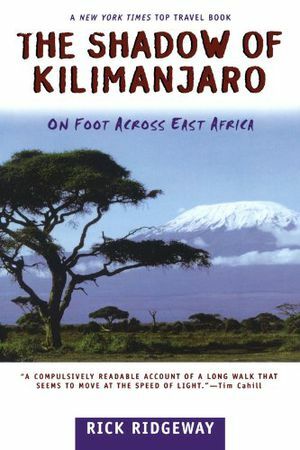 CLICK HERE TO DOWNLOAD THE FIRST CHAPTER(Provide us with a little information and we'll send your download directly to your inbox)* Entertaining climbing narrative about a destination many dream of visiting * Perfect gift for adventure travelers and climbers alike * Dorr's story was featured on the Outdoor Life Network's "Countdown to the 25 Most Dangerous Places" Mount Kilimanjaro is sometimes called "Everyman's Everest" because it is possible for a novice climber to reach the summit. And every year, more than 30,000 adventure tourists try. But for each person who goes to the mountain, there are thousands more who chat about it at cocktail parties, making plans to go...someday. That's how Daniel Dorr got started: flirting with a beautiful brunette over hot cocoa and spouting impressive plans. Six months later, he was lying on the cold gravel trail at 18,000 feet, panting and hacking in the darkness. Dorr is a typical marketing exec by day but, amped up by his re-acquaintance with a romantic interest, he gained the determination to pursue one of his lifelong dreams -- summiting Kilimanjaro. When Dorr left behind the familiarity of his weekend-warrior lifestyle in Southern California to reach the top of the 19,340-foot peak, he didn't realize he would cross a threshold to a new way of life. As he fondles expensive hi-tech gear, gets vaccinated for the jungle, travels local-style across East Africa, and vomits on top of the African continent, readers share in the rewards, both large and small, of reaching for personal fulfillment through adventure travel. 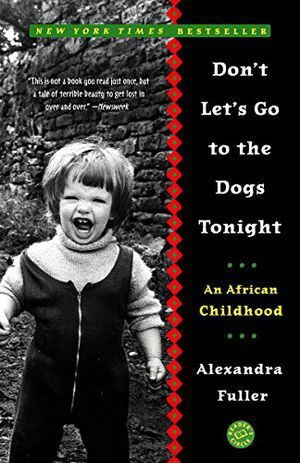 When Alexandra ("Bo") Fuller was home in Zambia a few years ago, visiting her parents for Christmas, she asked her father about a nearby banana farmer who was known for being a "tough bugger." Her father's response was a warning to steer clear of him; he told Bo: "Curiosity scribbled the cat." Nonetheless, Fuller began her strange friendship with the man she calls K, a white African and veteran of the Rhodesian war. 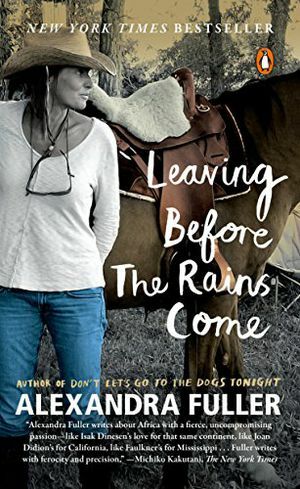 With the same fiercely beautiful prose that won her acclaim for Don't Let's Go to the Dogs Tonight, Fuller here recounts her friendship with K.K is, seemingly, a man of contradictions: tattooed, battle scarred, and weathered by farm work, he is a lion of a man, feral and bulletproof. Yet he is also a born-again Christian, given to weeping when he recollects his failed romantic life, and more than anything else welling up inside with memories of battle. For his war, like all wars, was a brutal one, marked by racial strife, jungle battles, unimaginable tortures, and the murdering of innocent civilians—and K, like all the veterans of the war, has blood on his hands.Driven by K's memories, Fuller and K decide to enter the heart of darkness in the most literal way—by traveling from Zambia through Zimbabwe (formerly Rhodesia) and Mozambique to visit the scenes of the war and to meet other veterans. It is a strange journey into the past, one marked at once by somber reflections and odd humor and featuring characters such as Mapenga, a fellow veteran who lives with his pet lion on a little island in the middle of a lake and is known to cope with his personal demons by refusing to speak for days on end. What results from Fuller's journey is a remarkably unbiased and unsentimental glimpse of men who have killed, mutilated, tortured, and scrambled to survive during wartime and who now must attempt to live with their past and live past their sins. 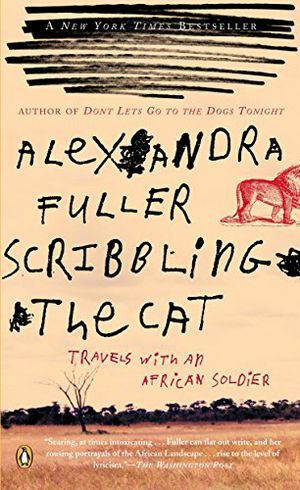 In these men, too, we get a glimpse of life in Africa, a land that besets its creatures with pests, plagues, and natural disasters, making the people there at once more hardened and more vulnerable than elsewhere.Scribbling the Cat is an engrossing and haunting look at war, Africa, and the lines of sanity. 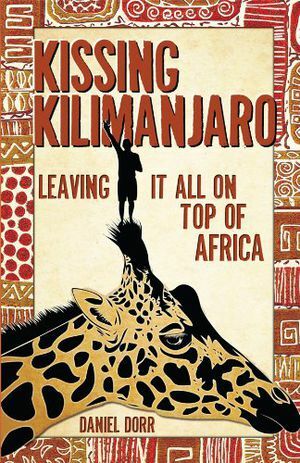 In one of the most acclaimed travel and adventure books of the past year, Rick Ridgeway chronicles his trek from the summit of Mount Kilimanjaro to the Indian Ocean, through Kenya's famed Tsavo Park. His tale is, according to The Boston Globe, "a gripping account of how it feels to be charged by an incensed elephant and kept awake at night by the roaring of stalking lions." But it is more than an adventure story. The Los Angeles Times noted that "the pace of walking gives Ridgeway time to contemplate his great theme and the great men and women who have struggled with the conundrum of whether man can live at peace with the beasts." Ridgeway examines the effects of colonial expansion on the indigenous people, the landscape, and the animals, and contemplates the future for all of them. A timeless and majestic portrait of Africa by renowned writer Peter Matthiessen (1927-2014), author of the National Book Award-winning The Snow Leopard and the new novel In Paradise A finalist for the National Book Award when it was released in 1972, this vivid portrait of East Africa remains as fresh and revelatory now as on the day it was first published. 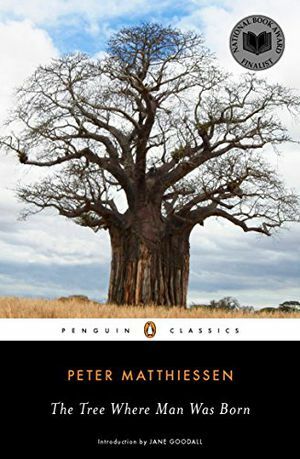 Peter Matthiessen exquisitely combines nature and travel writing to portray the sights, scenes, and people he observed firsthand in several trips over the course of a dozen years. 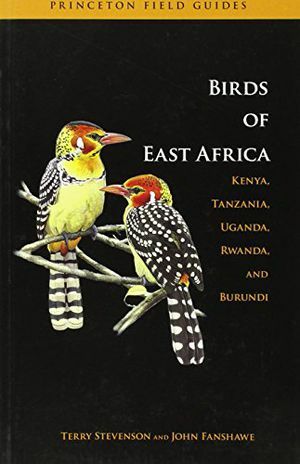 From the daily lives of wild herdsmen and the drama of predator kills to the field biologists investigating wild creatures and the anthropologists seeking humanity's origins in the rift valley, The Tree Where Man Was Born is a classic of journalistic observation. This Penguin Classics edition features an introduction by groundbreaking British primatologist Jane Goodall.For more than seventy years, Penguin has been the leading publisher of classic literature in the English-speaking world. With more than 1,700 titles, Penguin Classics represents a global bookshelf of the best works throughout history and across genres and disciplines. Readers trust the series to provide authoritative texts enhanced by introductions and notes by distinguished scholars and contemporary authors, as well as up-to-date translations by award-winning translators. The most intimate and elaborately enhanced addition to the Hemingway Library series: Hemingway’s memoir of his safari across the Serengeti—presented with archival material from the Hemingway Collection at the John F. Kennedy Library and with the never-before-published safari journal of Hemingway’s second wife, Pauline Pfeiffer.When it was first published in 1935, The New York Times called Green Hills of Africa, “The best-written story of big-game hunting anywhere,” Hemingway’s evocative account of his safari through East Africa with his wife, Pauline Pfeiffer, captures his fascination with big-game hunting. 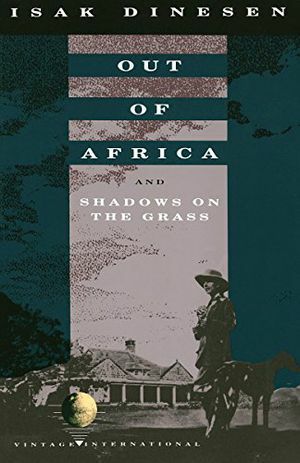 In examining the grace of the chase and the ferocity of the kill, Hemingway looks inward, seeking to explain the lure of the hunt and the primal undercurrent that comes alive on the plains of Africa. 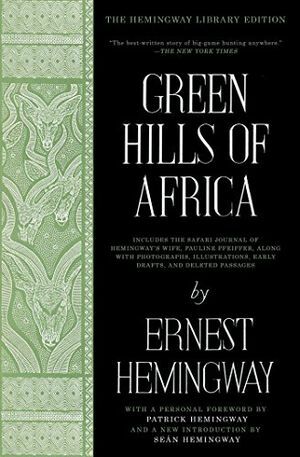 Green Hills of Africa is also an impassioned portrait of the glory of the African landscape and the beauty of a wilderness that was, even then, being threatened by the incursions of man. This new Hemingway Library Edition offers a fresh perspective on Hemingway’s classic travelogue, with a personal foreword by Patrick Hemingway, the author’s sole surviving son, who spent many years as a professional hunter in East Africa; a new introduction by Seán Hemingway, grandson of the author; and, published for the first time in its entirety, the African journal of Hemingway’s wife, Pauline, which offers an intimate glimpse into thoughts and experiences that shaped her husband’s craft.